Faithfull The Brand creates pieces that are versatile and can be easily packed for your next vacation. 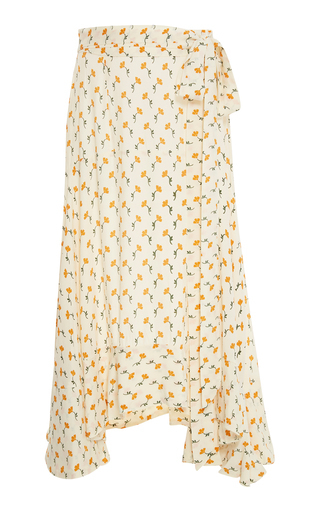 Designed to be worn at the beach and beyond, this 'Kamares' skirt is cut from breezy crepe printed with flowers and has ruffled trims, an asymmetric hem and self-tie belt. Style it over a swimsuit or with the matching 'La Guardia' top.